Sadly, the original post w/this title has been accidentally deleted. I put a lot of time & love into the post about my mother & I’m currently working to get it back. If you know of a way, please message me at audra.dinell@yahoo.com. 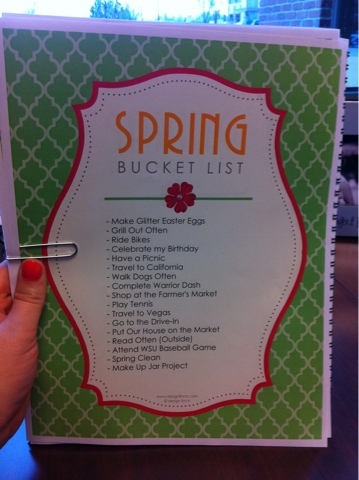 I created a customized Spring Bucket List with the free template I found on this blog: http://www.designfinch.com/2012/03/04/spring-bucket-list/. I can’t wait to soak up the season & check some things off of my bucket list. Check back for photos! If you know me well, you know that cooking is not necessarily my forte. I follow recipes to a T, but even then things have gone south. It’s not hard for me to screw up in the kitchen. Thankfully, I married a man who enjoys cooking. I love this about my husband. However, it does not help my cooking handicap because I am never forced to provide a meal. 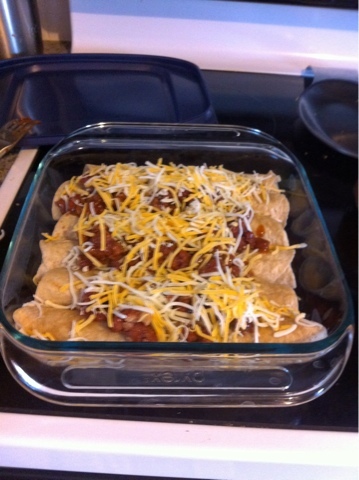 Spread 1/2 can of chili in the bottom of a 8×8 inch baking dish. 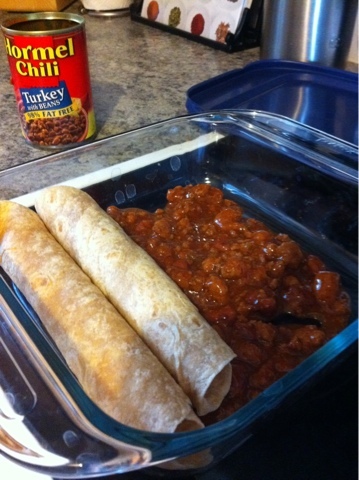 Roll up franks inside tortillas and place in baking dish, seam side down, on top of chili and beans. 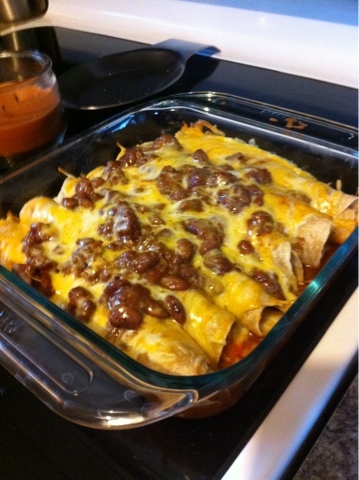 Top with remaining can of chili, cheese & onions. Cover baking dish with aluminum foil, and bake at 425 degrees for 30 minutes. Add extra onions (and jalepenos) after removing dish from oven. Tada! This size makes six servings. It was so fool proof & fun to make that even a wanna-be chef like me couldn’t screw it up. I hope you try this & enjoy!! Is it just me or is 2012 flying by? How is it that I’m writing a March post? Upon our return from Hawaii at the beginning of the year, we gained our second nephew, lost our first dog baby as a couple, I traveled for three crazy weeks in a row for work, began training for the Warrior Dash in May, planned or attended numerous work events, we decided to put our house on the market, got a new puppy…and all of this in the first 10 weeks of 2012. I’m going to take this time to take a big, deep breath. Needless to say, I am 100% struggling w/my commitment to live a more balanced life this year. I honestly don’t feel like I’ve had a moment to catch my breath. Fail. How did a year that started out so relaxing, turn into such a tornado? I haven’t even posted a blog in two weeks because I haven’t been inspired by anything. Which is just sad. 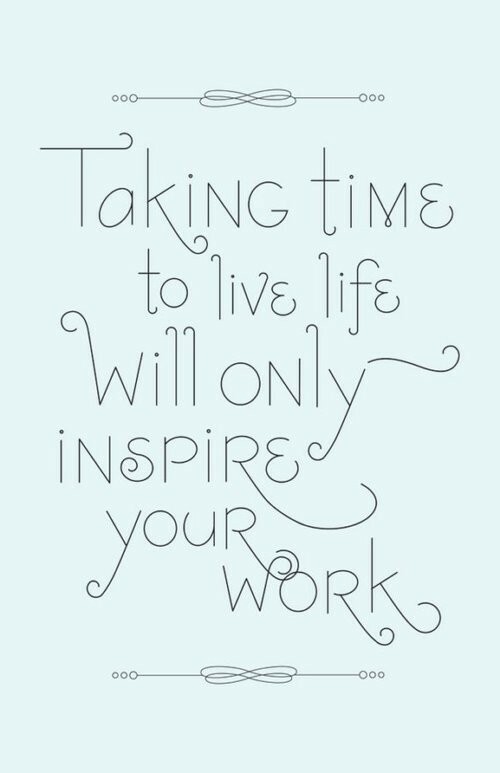 So from this day forward, I am renewing my 2012 committment to live a life more balanced! Instead of just trying to keep balance in mind when making my decisions (which I actually have been doing for the past couple months, just not making good choices, apparently), I’m going to actually make a game plan. And I must give credit to my best friend, Alex, for suggesting this. Step One: Make a list of all extra activities I’m currently involved in, including both personal & work (internal & external). Step Two: Deteremine how much of my time goes to each activity. 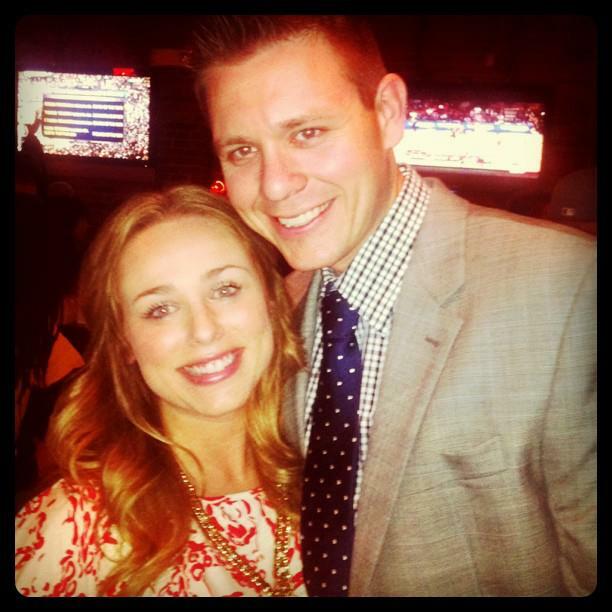 For instance, I’m involved in both the Junior League of Wichita and Public Relations Society of America. JLW requires a hefty amount of my time, while my involvement with PRSA is mainly a monthly luncheon. Step Three: Decide which of these groups & activities I can really keep in my life. As much as I want to do it all (and the Lord knows I do), it’s not fair to myself, my family & friends OR the organizations I’m involved in, if I can’t give anyone or anything 100%. – Continue to make my 5:30 a.m. work outs a priority. This has been hard over the past month, because it means getting to bed by 10:30. – Cut back on the TV shows I DVR. Does anyone else feel like watching your DVRed shows is one more thing to check off of the To Do lists? Good Bye Real Housewives! – Not initiate as many outings w/friends. Sometimes Cory & I only get one night a week alone together. I love our friends, but a girl needs some QT!